Each year a seemingly infinite number of people are plagued by headaches. While sometimes the degree of severity is trivial, at other times headaches can lead to excruciating agony. An estimated 15 percent of the population has a headache at least once a week. The number of Americans affected by migraines is estimated at 23 million. Since hormones have a role in the onset of migraines, more migraine sufferers are women. Evidence is shown migraines occur by a sudden dilation of blood vessels around the brain. Several conditions can cause migraines. There are several varieties of headaches. Each can be distinguished by pattern of occurrence, location, and severity. The most common type is tension headache which is felt around the forehead, and has a painful sensation as if a band-like tension is wrapping on both sides of the head. Migraine headaches are another kind, and feels like a throbbing pain that starts from one side of the head, than followed by other symptoms such as light sensitivity, sound sensitivity, and nausea. Migraine headaches can last anywhere from four hours to three days. Sinus headaches occur around the sinus cavities around the periphery of the eyes and may happen due to an inflammation or infection of the sinuses. Cluster headaches usually occur on one side around the eye and get the name since these tend to occur in clusters of several headaches in a day. Though the cause is unknown, they tend to occur in spring and autumn and are often triggered by alcohol. Migraine headaches can be brought on by allergic reactions to either elements in the environment or reactions to diet. Dietary reactions may include allergies to certain types of food,, or food combinations. Migraines can occur after imbibing alcoholic beverages, especially red wine and beer. Reactions to certain additives like tyramine and MSG are common. Tyramine is an amino acid found in smoked fish, yeast extracts, and cheese. MSG is a flavor enhancer that can be found in Chinese food and other products. People with certain kind of food allergies such as wheat, eggs, dairy products, and corn may experience migraines if accidently ingested. Sodium nitrate (in cold cuts and frankfurters) and aspartame (an artificial sweetener) reduce the levels of serotonin in the body, and have been implicated in migraines. Caffeinated products such as tea, coffee, and soda can also cause a migraine. Hormones can also trigger migraine headaches. Sixty percent of all female migraine sufferers feel it during their menstrual cycle. Although the medical community has not provided a link between migraine development and estrogen levels in the body, it has been implicated that there the hormone does have a role in migraine headaches. One theory is that estrogen may affect the function of the nervous system as well as the serotonin level, which may trigger an onset of migraines. Women that are on birth control pills have a higher chance of experiencing acute migraines. Women that have recently experienced menopause are less likely to migraines due to the lower levels of estrogen in the body. An insufficient intake of magnesium can be a cause of migraines as it is correlated with a myofacial disorder known as fibromyalgia, which has similar characteristics as migraine headaches. Prescription drugs administered by medical doctors and over-the-counter drugs can also cause migraines. Most notably, medications that are used to treat headaches such as simple pain killers (e.g. mixed analgesics, acetaminophen, aspirin, etc.) can contribute to the onset of headaches. Stress can also contribute to the onset of migraines. Some chases of migraines are characterized and preceded by seeing flashing lights or zigzag lines on one side of the heads. These warning signs called an aura may be a good predicator of headaches, as a migraine will occur with 20 minutes of seeing those warning signs. Though the aura is usually visual, it may come in the form of other sensations such as detection of odor, disorientation, numbness, or tingling. Many over the counter painkillers can cause a rebound effect, so migraine sufferers are given non-steroidial anti-inflammatory medication, like ibuprofen, that are used to combat acute attacks. Muscle tension headaches are commonly treated with minor analgesics, along with a combination of hot showers, massages, and other muscle relaxation techniques. 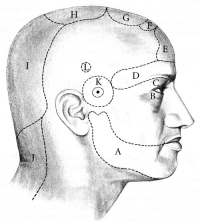 Headache can be allievated by pressure point therapy. There are several pressure points that can promote muscle relaxation. By placing the the thumb in the webbed area, between the first and second fingers, and applying pressure towards the direction of the first finger, headache pain can be diminished. Headaches can be alleviated by massaging under the neck, then proceeding upward through the hairline to the top of the head. Squeeze the muscles located at the back of the neck, shoulders, and manipulate the various acupressure points, which include the bridge of the nose, below the cheekbones, under the eyebrows, and under the forehead. This procedure will help alleviate migraine symptoms since it relieves muscle tension, increases circulation, and helps facilitate transportation of oxygen in the brain. The basis of reflexology is that by manipulating the foot, one can aid the rest of the body. For migraines, therapy is initiated by creating an relaxing ambience, such as warming the feet in ashallow basin of water. Reflexologists explain that the big toe corresponds to the head, while the other toes correspond to the sinus region and other parts of the head. The ridge underneath the toes relate to the shoulders and neck. This technique promotes relaxation. Aromatherapy, when supplemented with other treatment modalities, is very effective in treating headaches. Lavender oil aids in combating migraines by releasing the tension in the neck muscles. Biofeedback is a helpful supplement to prevent and relieving migraines. A clinical trial published in a 2005 issue of the journal, Neurololgy found that taking supplements of coenzyme Q10 were more effective than placebo in preventing migraine attacks. Bay contains compounds known as parthenolides which are useful in preventing migraines. The mechanism of why it is effective is unknown, but it is posited that the release of neurotransmitter serotonin from platelets may play a role. Parthenolides stop serotonin release from platelets. To avoid side effects, it may be better to incorporate feverfew into a tea, but avoid boiling the leaf as it may break down the parthenolides. It is advisable to not take feverfew if pregnant, as there is a risk it may cause miscarriage. Women that are nursing are advised not to take it either. Willow is the herbal equivalent of aspirin. Commission E, Germany’s equivalent to America’s Food and Drug Agency, endorse willow bark as an effective pain reliever for headache. Those allergic to regular aspirin should stay away from willow. The active ingredient in evening primrose is phenyalanine which provides great pain relief. The platelet cells involved in clotting are also involved in triggering migraines. Though it’s not advisable to get rid of these cells altogether (since a minor cut will lead one to bleed to death) by making them less active, migraines can be prevented. 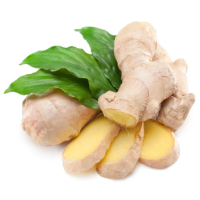 Ginger is a popular remedy for migraines in Asian culture. A medical study has shown that headaches clear up with increased cerebral blood flow , which is exactly what ginkgo does throughout the brain. The active ingredient (which also gives it the spicy quality) is capsaicin. Eight studies have shown that capsacin interferes with substance P the chemical substance that scientists believe plays a role in transmitting pain impulses. Peppermint can be mixed with alcohol and rubbed on the temple will help alleviate headache pain. Nutritionists have found that people that have magnesium deficiency are more prone to migraines and tension headaches.